Copy Provided by Little Brown. When news reports start appearing of a zombie outbreak in Ireland, B's racist father thinks it's a joke— but even if it isn't, he figures, it's ok to lose a few Irish. B doesn't fully buy into Dad's racism, but figures it's easier to go along with it than to risk the fights and abuse that will surely follow sticking up for Muslims, blacks, or immigrants. And when dodging his fists doesn't work, B doesn't hesitate to take the piss out of kids at school with a few slaps or cruel remarks. That is, until zombies attack the school. B is forced on a mad dash through the serpentine corridors of high school, making allegiances with anyone with enough gall to fight off their pursuers. 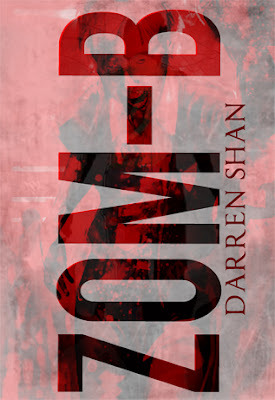 Darren Shan’s Zom-B is a new series that only Darren can deliver. Just like how his Cirque Du Freak (The Vampire’s Assistant) left me captivated, Zom-B executed the same result. Although the cover and title suggests a story solely based on zombies, it shifts to the real dismays that many us face on a daily basis. 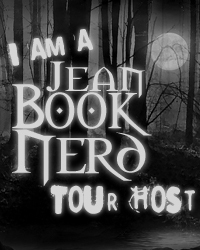 Readers are taken to London where they are introduced to a teenager, simply named B. She is the typical teenage girl who hangs out with friends but gets into the usual troubles. When a zombie apocalypse ensues in Ireland, it quickly becomes dismissal as everyone thinks it’s a publicity stunt. B, on the other hand, is facing her own horror with her racist, drunk, and abusive father. Although she is disgusted with her father’s actions, she still loves and defends him when others defy his behavior. It is only a matter of time if B will stand up to her racist father or befall to his abusive ways while a list of shocking twists and surprises lie in wait for B as the story develops. The pace of the story is quick but provided a clear picture of B’s rather scarred life. The way Darren describes her father is so crisp in detail that he is truly this horrible person. The zombie attack does not start until after the half-way mark but Darren manages to create an amazing and interesting buildup. Not to give up spoilers but there are plenty of twists and a couple of complete surprises that leads to a top-notch cliff hanger. The writing style is extremely well and when one of the surprises is presented, it will leave readers in awe and have them flipping back the pages just so they truly understand what has been transpired. The book has a strong theme of racism and its association with horrendous consequences. Zom-B is a fun and fast read and readers will be delighted that it is projected as a twelve book series.